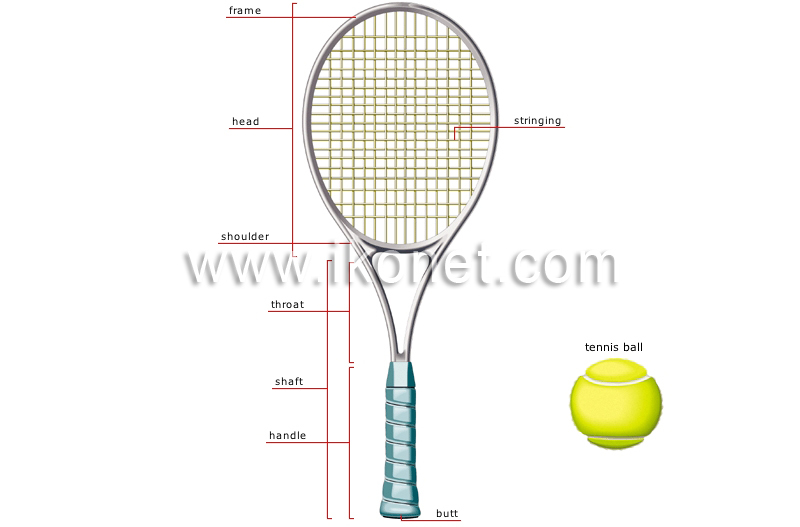 Racket with an oval head that is used to strike the ball; it usually weighs between 250 and 350 g and is about 70 cm long. Synthetic or natural cords strung together to form a surface used to strike the ball. Base of the racket head joining it to the throat. Part that the player grips to control the racket. Part joining the handle to the racket head. Rubber ball that weighs 56 g and is filled with compressed air; it is covered with felt to make it more adherent.